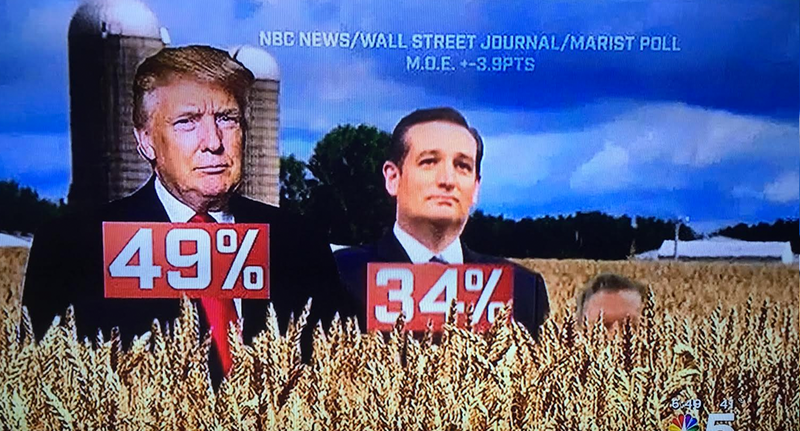 NBC News is prepping for its coverage of the Indiana primaries with a farm field-themed graphic. 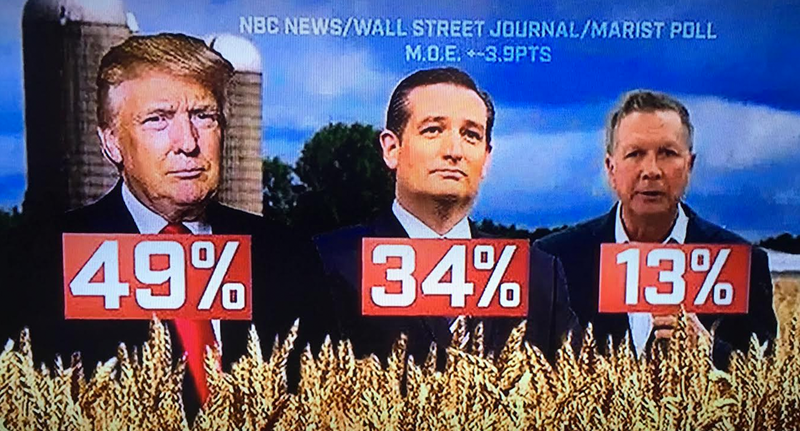 The graphic starts with an empty field, showing a barn and silo in the background before, one by one, the Republican candidates for president “pop” out from inside the corn, along with the relevant polling data. The frontmost row of corn is masked so that the candidates’ cutouts appear to be “standing” behind that row — perhaps as if they decided to hang out in a deserted field somewhere. The image also conjures up inevitable allusions to Children of the Corn and crop circles. The crop shown in the field, meanwhile, appears to be wheat (or at least wheat adjacent), which is interesting considering that corn and soybeans are typically crops that Indiana is better known for.